The Memorial Candle Program has been designed to help offset the costs associated with the hosting this Tribute Website in perpetuity. Through the lighting of a memorial candle, your thoughtful gesture will be recorded in the Book of Memories and the proceeds will go directly towards helping ensure that the family and friends of Barbara Fischer can continue to memorialize, re-visit, interact with each other and enhance this tribute for future generations. Barbara Ann Jordan Fischer, 84, widow of Barrie Fischer, died Saturday, July 28, 2018, at her home. She was born January 4, 1934 in Bourbon County, daughter of the late Jerry Z. and Edna Barlow Jordan and was a 1951 graduate of Paris High School. Barbara worked in her family grocery store, Clifton Market, for 10 years and retired from Bourbon County High School in 1994 after 17 years. She was a long time member of First Christian Church (Disciples of Christ) where she was a choir member, deaconess, and member of the official church board. 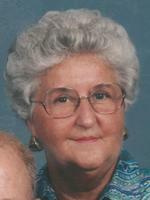 Barbara was also a charter member of Lynnwood Homemakers, and an avid card player. She is survived by a daughter, Debbie F. (Jeff) Jett; son, Jerry L. (Julie Amic) Fischer; three grandchildren, Jessica Jett, Justin Jett, Jordan Fischer (Toby) Anderson; three sisters, Beverly (Nolan) Barger, Becky (Johnny) Fay, Sandra (Whit) Criswell; two great grandchildren, Bryson Fischer Anderson, Tegan Lee Ann Anderson; sister-in-law, Pam Jordan; and many special friends. In addition to her husband, Barbara was preceded in death by a son, Kevin Alan Fischer; a brother, Larry Jordon; and two sisters, Jacqueline Cox and Jerrylyn Lyons. Visitation will be 11:00 a.m. Tuesday, July 31, at First Christian Church (Disciples of Christ) with funeral service at 1:00 p.m. officiated by Rev. Jeff Bell. Burial will be in Paris Cemetery. Casket bearers will be Justin Jett, Chad Criswell, Brad Barger, Brent Barger, J.C. Fay, Mike Schneider, Toby Anderson, and Scott Patrick. In lieu of flowers, donations are suggested to Alzheimer’s Association or First Christian Church (Disciples of Christ). To send flowers to the family of Barbara Ann Fischer (Jordan), please visit our Heartfelt Sympathies Store.